Beading Arts: Yay for Mary! 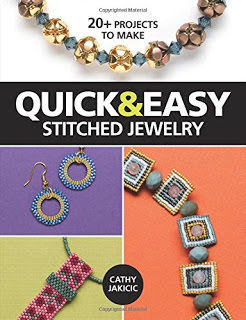 Congratulations to Mary Redman, who won a copy of Quick & Easy Stitched Jewelry!! Thank you, Cyndi! I feel so fortunate to win this book. I look forward to getting some new ideas and inspiration! Thank you for hosting this giveaway.